Editor’s note: This article has been updated to add that NextGen did try to contact Magargal and Kravitz on Oct. 6 to inform them of voting registration issues after they did not show up on the rolls. Still reeling from voting registration issues during the 2018 midterm elections, Lehigh students consider alternative ways to register while NextGen America regains its footing for the 2020 presidential election. NextGen America, an organization that serves as an intermediary for people to register to vote, visited Lehigh’s campus to encourage students to register. 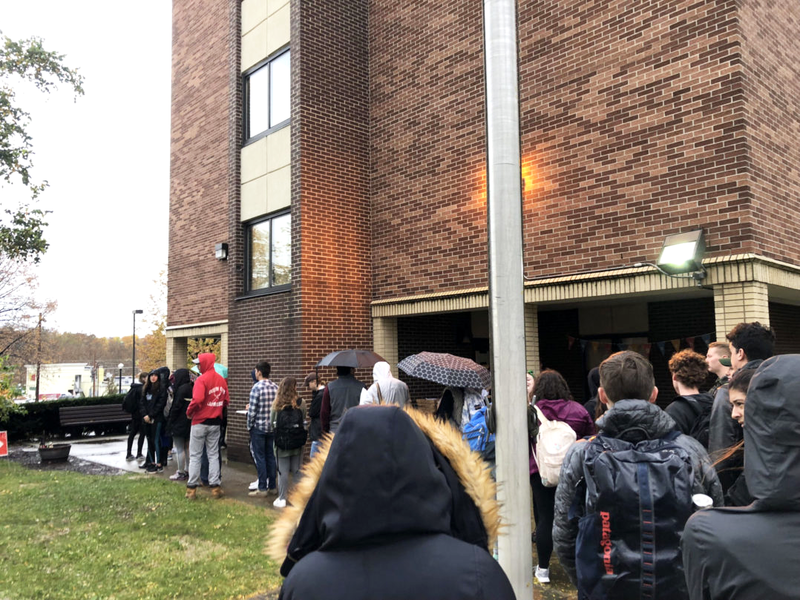 However, when some of these students got to the voting polls near campus on Election Day, they were denied upon learning they were never officially registered in Northampton County. Zoe Kravitz, ’20, and Liam Magargal, ’22, were unable to vote, and both said they have received no explanation for why this was the case. “After contacting (NextGen) the first time it happened, I got no response,” Kravitz said. The second time, Kravitz said she received an email from NextGen that offered no reasoning behind the registration issues, and the organization did not hold itself responsible. Olivia Bercow, the deputy communications director for NextGen, said after they enter all of the information into their own system to track who registers, the registration forms are given to the county clerks, who transfer them into the voter roll. Bercow said it’s the responsibility of the county clerks to do a better job getting in contact with people who didn’t get on the voter rolls. A representative from the Northampton County Board of Elections said she is unaware of any issues on their end with registration. All forms they received were processed, which included those through NextGen, she said. In 2018 alone, NextGen registered over 40,000 Pennsylvanians, who all had to be processed by the clerks, Bercow said. She said the organization may talk to the state or Gov. Tom Wolf to make sure there are enough people to process these forms correctly to ensure this problem doesn’t happen again. This is not the first instance of voting registration issues for NextGen. Bercow said there was a similar problem in the Lehigh Valley in 2016. She said more safeguards and policies were put into place, and volunteers and staff were well-trained on proper procedures. 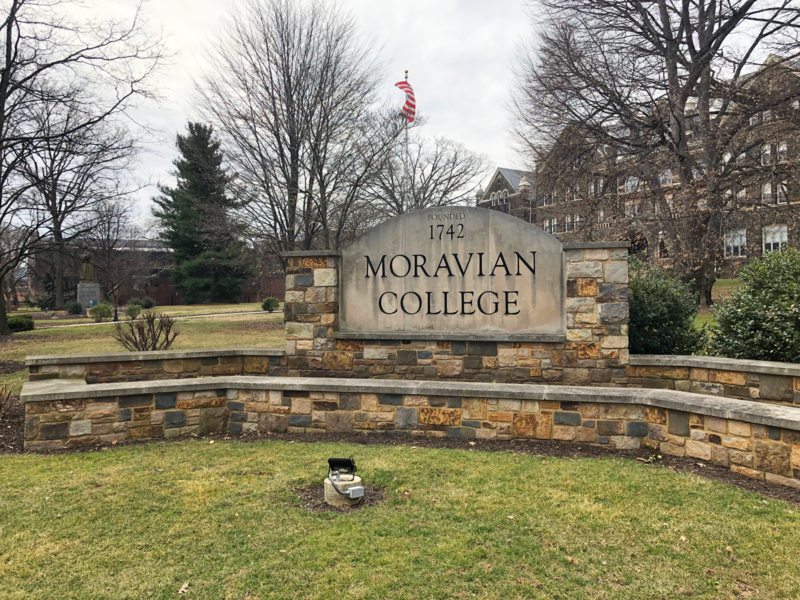 And in the most recent midterms, other Pennsylvania universities documented similar voting issues with students, including at Kutztown University and the University of Pittsburgh. Kravitz said she doesn’t think NextGen should be attempting to register people if the organization can’t figure out what exactly went wrong and why there were issues. She said people are putting their trust in NextGen by registering through them, so they should be able to vote on Election Day. Magargal said people should register directly through the government instead because NextGen has an inefficient system that shouldn’t be relied on. NextGen was founded by Tom Steyer, an outwardly spoken Democrat, and Bercow said they have always supported Democrats and their views. The voter registration, though, Bercow said, is completely nonpartisan, yet students of all political parties received messages leading up to the elections from NextGen pushing their own views and support for specific candidates. Bercow said NextGen does work to elect progressive candidates, but Need to Impeach, a movement by Democrats to impeach Trump and also founded by Steyer, is a separate organization. Kravitz said her friend who registered through NextGen also didn’t get to vote but was going to vote against the organization’s political views. She received texts urging her to vote for a specific Democratic candidate. “It’s annoying to me that they were sending texts, they were really trying to push an agenda that they had clear intentions that weren’t just trying to get the youth involved,” Magargal said. Kravitz said it appeared to her that volunteers who were registering students seemed passionate about voting, and the organization never tried to conceal the fact that they were left-leaning. Bercow said NextGen is focused on raising young voter turnout, especially in an important state like Pennsylvania in the 2020 elections. NextGen registered 3,730 voters in Pennsylvania’s 7th congressional district, Bercow said. Lehigh student turnout in the midterms drastically increased compared to 2014. Kravitz said students should be notified early on if there are any issues with the voting registration. A Northampton County Board of Elections representative said voters can go online to immediately check when their voter cards will be arriving, if they were registered, or if their forms were declined because of missing information or a missing signature. As long as an email is provided, those with any registration form issues will be contacted. Magargal said in order for people to actually get registered and be able to vote for the next election, he wants people to know not to go through NextGen. Wonder how many of those that didn’t get their paperwork processed correctly registered themselves as Republicans? Nextgen is a left wing liberal organization that might just selectively lose some registration forms by design and obviously never admit to such. College students should understand the issues rather than vote based upon what your left wing professors are espousing and what you are being spoon fed by the media. For example, America has never in its history provided more opportunities for working adults including women and minorities than since Donald Trump was elected President. Our economic system works here in America like none other and the tax cuts implemented by this administration have unleashed the business community into new development and put more money in the pockets of working Americans to spend at local businesses. The rising tide is in fact lifting all boats.